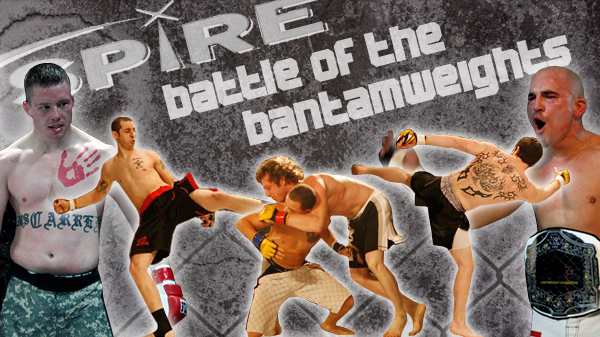 In February, the Spire Sanctioning Alliance - in association with local MMA promotions - will be kicking off a tournament featuring the best bantamweights in the area. The top 135-pound amateur fighters will be competing on a series of different shows to find out who really is the best-of-the-best in the division. The top two seeds are Ira Lukowski and William Calloway, both of which will receive a first round bye. The first two qualifying bouts will take place on February 11th for Nemesis Fighting Alliance. Daniel Baynton will be facing Ronny Harper, and Josh Crouch vs Kenny Nienhaus. We recently sat down with Jayson Cooper, one of the owners of Spire, to help us break down the competitors. Ira Lukowski (No. 1 seed) - A Golden Glove boxer with great stand up and excellent wrestling. A tough fighter with a 7-3 record. Recently lost a controversial fight against Daniel Baynton due to an illegal headbutt. There is a reason he's the No. 1 seed. Other than the DQ, his only losses are to Aaron Ely (who went undefeated as an amateur) and Spire's No. 1 overall bantamweight, Jake Constant who was unable to compete in the tournament. William Calloway (No. 2 seed) - Excellent wrestler, competes in both 135 and 145 division. Has an 8-3 record and fought all of the top fighters in the division including a decision loss to Ira Lukowsky. Fierce Taylor (No. 3 seed, will be facing Wil Alfaro) - Coming back from a serious car accident last year. This will be his first fight back from rehabbing injuries suffered from the accident. He posts a 13-2 record, and is willing to take the fight anywhere. Jason Powell (No. 4 seed, will be facing Mike Suntinger) - Extremely strong with an excellent ground game, but also likes to keep the fight standing. 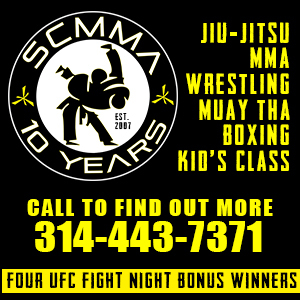 Recently switched camps St. Charles MMA. Mike Suntinger (No. 5 seed, will be facing Jason Powell) - Trains with Benny Voyles at 21st Century MMA. Excellent striker with an 8-1 record. Wil Alfaro (No. 6 seed, will be facing Fierce Taylor) - The "Crazy Little Mexican" from Destruction MMA was nominated for Spire's rookie of the year for 2011. Has a 7-0 record and is looking to climb the rankings by stepping up his level of competition. Josh Crouch (No. 7 seed, will be facing Kenny Nienhaus) - Great wrestler with very good stand up. Has a 10-6 record. Kenny Nienhaus (No. 8 seed, will be facing Josh Crouch) - Is 6-2 and has fought very tough opponents. Trains with Sal Woods, Ray Grindstaff, and the rest of the team at CMMA. Ronny Harper (No. 9 seed, will be facing Daniel Baynton) - Exciting fighter, very unpredictable. Trains out of Granite City MMA. His 8-4 record doesn't accurately reflect the potential this kid has. Daniel Baynton (No. 10 seed, will be facing Ronny Harper) - Scrappy fighter from No Remorse MMA. Recently scored a controversial win over No. 1 seed Ira Lukowski. Lost to Haper in October via rear naked choke.